Boiling point came when Hungary's leader Viktor Orban and his Fidesz party attacked the EU Commission president Jean Claude Juncker in this billboard but tensions have been sizzling for years..
„Is it just because he is insulting Jean-Claude Juncker? When I look at Viktor Orban's shift to the far right, there have been grave signs before. And so the EPP wanted to keep the illusion that the guy belonged to the family. I hope that even for the more rightist wings of the EPP enough is enough," Green MEP Philippe Lamberts told Euronews. 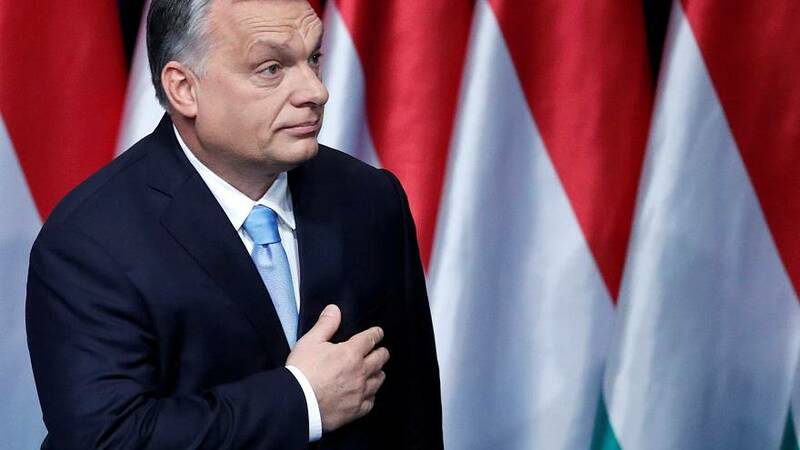 Viktor Orban and his Fidesz party have been criticised for their anti-immigration policies, demolishing democracy, silencing media... in general: for undermining EU values. But He said lately Fidesz will not leave, it is of course the most prestigious group. "We have given enough time to Fidesz to correct its behavior, to correct its positions, It is clear that it does not want to correct its position and this is why we have asked to expel from the European Peoples party Fidesz today," explains Tom Vandenkendelaere, Belgian EPP MEP.